SYRACUSE, N.Y. - A Syracuse silviculture specialist has been named Forester of the Year by a statewide forestry organization. Ralph D. Nyland, a Distinguished Professor at the SUNY College of Environmental Science and Forestry (ESF), received the honor from the New York chapter of the Society of American Foresters. The annual award recognizes outstanding contributions to forestry, conservation, and stewardship of the state's forests. Nyland, who teaches in ESF's Faculty of Forestry, specializes in hardwood silviculture. Last year, he was named a Distinguished Service Professor by the SUNY Board of Trustees. His work focuses on regeneration and productivity in northern hardwoods. He has written extensively about his work in several professional journals and in a textbook, Silviculture: Concepts and Applications, that was published last year. has a bachelor's degree in forestry and a master's degree in silviculture from ESF. He earned his doctorate in silviculture and forest management from Michigan State University. 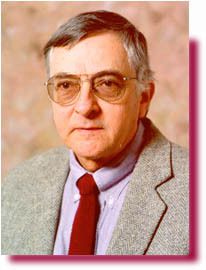 Nyland was elected a fellow of the Society of American Foresters in 1987. In 1978, he received the Svend Heiberg Memorial Award, which is given annually by the New York State Forest Owners Association to a state resident who completes a significant field or research project in the areas of conservation, land use, land restoration, or forestry management. He also received the U.S. Forest Service 75th Anniversary Award for Contributions to Forestry and Conservation and the Northeastern Loggers' Association Outstanding Timber Harvesting Research Award.